Life's too short for back-stabbing and petty grievances; why not settle scores the old-fashioned way, with a good, no-nonsense punch-up? At least, this is the view taken by the inhabitants of the Chumbivilcas​ province in the foothills of the Peruvean Andes near Cusco​. Beginning with a procession of chanting, hollering and singing led by a throng of ski-mask-wearing maniacs, the crowds gather to drink, dance and make merry before getting down to the serious business of pugilism. Arguments ranging from stolen sheep to extra marital affairs are settled with a quick bout of fisticuffs but no matter how violent the encounter, all opponents must shake hands or hug afterwards. Although now far less potent in its anti-Catholic sentiment, this has been a staple in the English calendar ever since the events of 1605 when Guy Fawkes, a member of a plot to blow up the houses of parliament was caught looking somewhat sheepish next to 36 barrels of gunpowder. Nowadays, bonfires rage up and down the country, burning effigies of Fawkes while the masses wave pitchforks and chant "Remember, remember the fifth of November, gunpowder treason and plot". 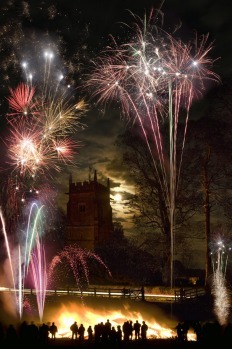 Happily, since losing much of its original connection to politics and religion, it's less about nationalism and revelling in the execution of a man, and more about toffee apples, lashings of ale and pretty fireworks. 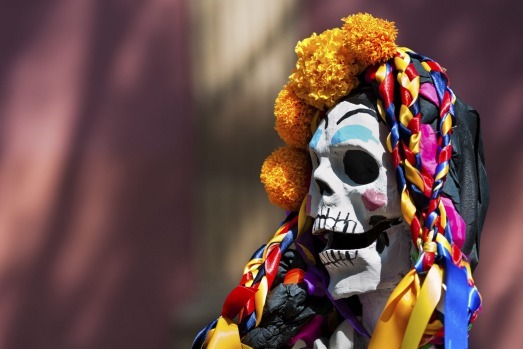 An intriguing amalgamation of Spanish Catholic tradition and Aztec ritual, this festival – held on the first two days of November – is both an acknowledgement of loved ones gone and a celebration of the cycle of life. 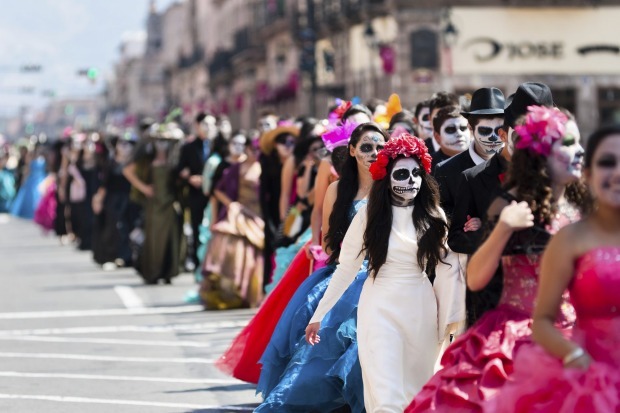 Typical traditions include preparing favourite foods of the deceased, decorating graves and altars with sugar skulls, candles and flowers and elaborate processions involving costumes depicting skeletons and various souls from the afterlife. 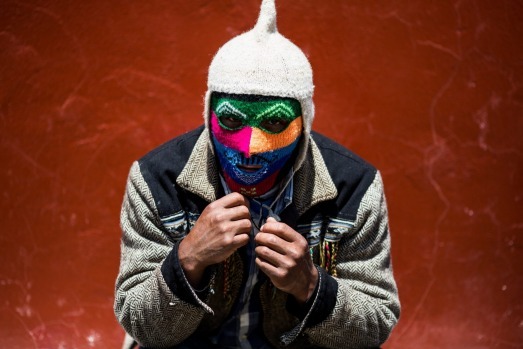 Though mainly a Mexican custom, the festival is also practised in parts of the US, Latin America, the Philippines and more. It began as a pagan festival when Irish Celts would attempt to fend off evil spirits with morbid costumes and raucous processions but the Americans in particular have adopted this one as their own. Staged on October 31 – it's especially popular in New York – Halloween is the perfect excuse for a pre-winter shindig where crowds roam the streets dressed as witches, ghosts or even the devil himself. 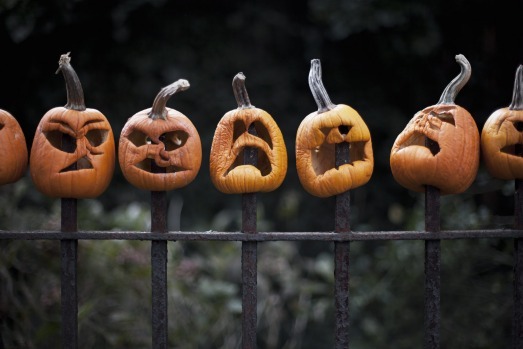 In addition to scaring anyone crossing your path, other traditions include carving menacing faces into pumpkins (aka Jack O Lanterns), throwing eggs at people (trick or treating) and fishing apples out of a barrel of water using only your teeth (bobbing apples). Staged during the tenth month of the Hindu calendar, Thaipusam is an eye-watering display of devotion honouring Hindu gods. Participants demonstrate their reverence in a variety of ways, many of which would make a mortician blanch; body parts are pierced with skewers while hefty objects are often dragged via sinister metal hooks sunk into the flesh of men's backs. Celebrated mainly among the Tamil community, devotees often claim they feel no pain due to a trance like state achieved via a spiritual connection to the gods. For most, a few stern words are enough to keep their children in check should they get a little rambunctious in the lead up to Christmas. 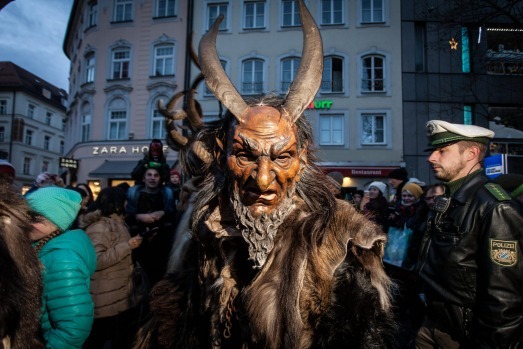 Not so in parts of Germany, where many consider it more appropriate to dress up as an anthropomorphic half goat, half human nightmare with a fiendishly long, forked tongue. Hooned on Gluhwein, these costumed men brandish whips and flaming torches, thrashing bells while lurching through the town square in search of children who've made it on to Santa's black list. If that doesn't turn your offspring into angelic cherubs come yuletide, I'm not sure what will. Each July, swarms of Haitians trek down a series of treacherous dirt tracks to gather beneath a waterfall some 150 kilometres north of Port au Prince. 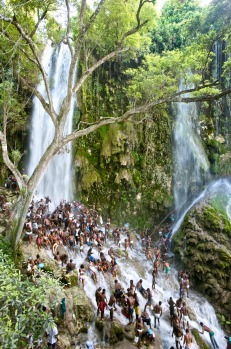 They come to honour Haiti's most beloved patron Saint, Our Lady of Mount Carmel, practising a variety of voodoo rituals while drinking, partying, beating drums and bathing beneath the falls, often well into the night. The custom of voodoo is thought to originate from African slaves looking to hide their traditional religious practices from slave drivers, and to this day Haiti remains one of its main proponents. 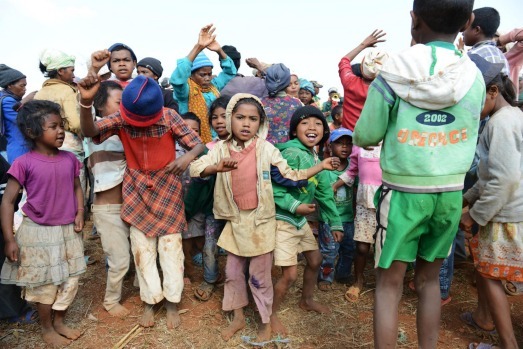 Conjuring unpleasant recollections of the 1980s Hollywood "comedy", Weekend at Bernie's, the tribes of the Hauts Plateaux Madagascar have a most unusual way of honouring their dead. Approximately every seven years, the bodies of ancestors are exhumed from family crypts and wrapped in fresh cloth or silks. The tribes then dance with the corpses to live music while animals are sacrificed and the meat distributed among friends and family (the live ones that is). The ceremony is a celebration of family kinship thought to assist the transition to the afterlife and the world of the ancestors. According to ancient Chinese culture, the seventh month of the lunar calendar is the time in which ghosts and spirits emerge from the underworld to roam the Earth in search of food. 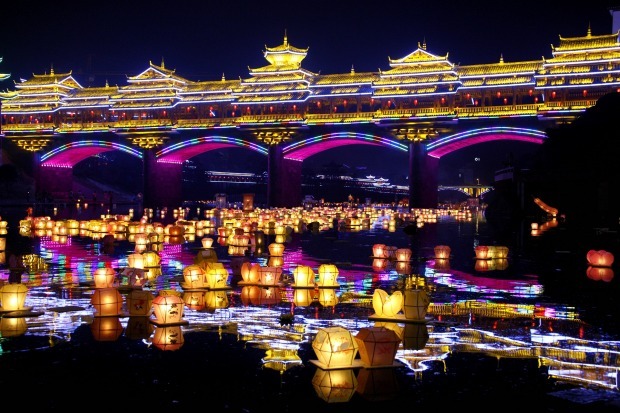 To commemorate the occasion, people throughout the country sail floating lanterns containing candles up-river, said to act as a guiding light for drifting spirits. At the same time, various worshipping rituals take place, usually involving copious amounts of dumplings, chanting or even operas and burlesque performances. Admit it, we've all thought about attending our own funeral; the prudently selected music, the reverential speeches, not a dry eye in the house. Well just north of Las Nieves​ in Spain, anyone who has survived a near death experience can do just that. Each July, cheaters of the grim reaper clamber into coffins where they are carried into church by their relatives, traditionally dressed in black while sporting appropriately sombre expressions. After the "funeral", the procession makes a beeline for the nearby cemetery where survivors will make an offering to Saint Martha to thank her for keeping them on this earth at least a little while longer.